Thank you Groupon for sponsoring this post. It's fun because I had planned to share a majority of this content anyways and then Groupon contacted me about writing for them. My only regret is that they contacted me the last day of my trip to Colorado rather than the beginning because I forgot to check for Groupon deals while we were in Denver. And the Groupon link they sent me was indeed for Denver. Fail! As always all opinions are my own. 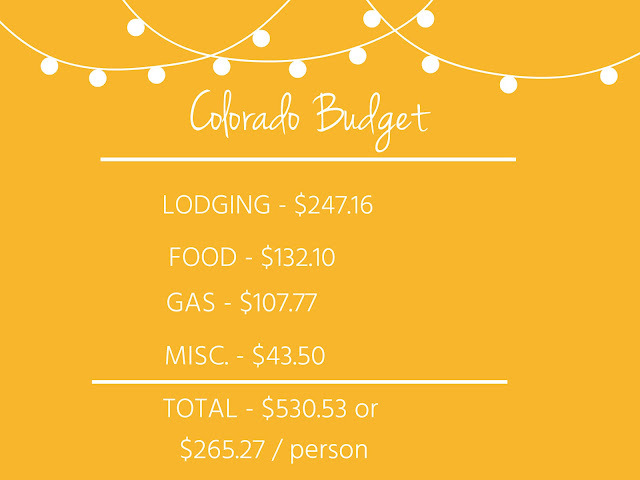 Today I want to share about our budget for Colorado. I have been on a big kick to revamp our entire budgeting system these past few months. It was really hard in Myanmar to budget well, especially when funds were depleting and we had no steady income. It was fine because we planned for that, but doing a monthly budget overseas was really really hard. These past few months I have been doing a Dave Ramsey class on-line. I've done one before but my Dad purchased us a class for our wedding and I'm finally getting around to watching the lessons. I think my favorite thing about the class is learning more about budgeting. I know budgeting doesn't always sound like fun, but I do well with structure and knowing exactly how much I can spend on what. I don't plan on going in depth in this post about our budgeting but if you want to know more of my process (I combine some of Dave Ramsey's ideas and implement things that work for us) let me know and I will share more about that in a different post or via e-mail as well. 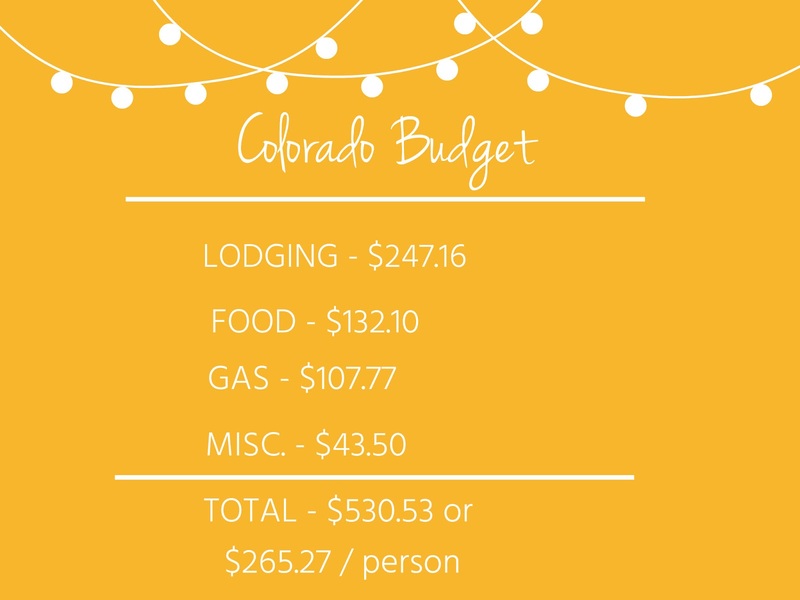 Back to our Colorado budget. Dave and I left on a Monday evening and we got back Sunday afternoon. We had a total of 6 travel days. Here is a graphic of what we spent. We spent 6 nights either camping or in a hotel. It averages out to $41.19 per night on lodging. The first night we slept in the back of our SUV. I roll my eyes as I type that. It isn't too bad to sleep in your car but yet it is. Our seats do lay down in the back of our SUV so we we can actually lay down but I just don't like sleeping in a car very much. Moving on. Tuesday - Thursday we camped. The camping sights were $26 / night. Friday and Saturday we stayed at a nice hotel in Denver because after camping I need a nice clean hotel. I had a $50 Expedia voucher plus $40ish dollars in rewards so that took about $90 off of our lodging bill. All in all I think $41.19 per night is pretty good for traveling in the US. I made food before we left for this trip and I didn't include that in the price of food here because that money came out of our grocery budget rather than traveling budget. I made soups and froze them and we took sandwich stuff and snacks. We ate out several nights and then bought some snack stuff as well. Food averaged out to $22.01 a day. Gas averages out to a whopping cheap amount of $17.96 a day! 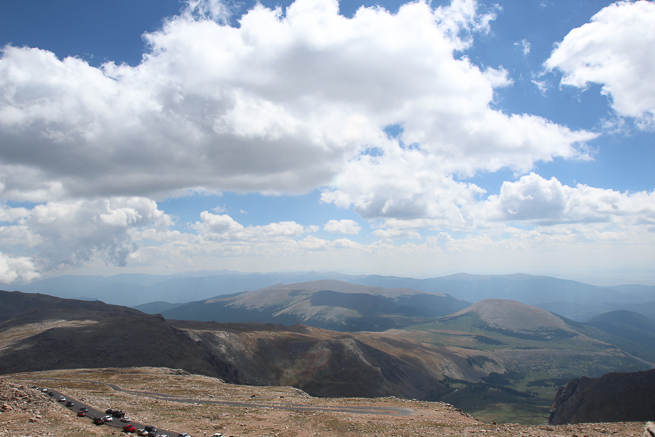 Once we arrived at Rocky Mountain National Park we didn't do much driving. Most of that gas came from driving to Colorado and back. This item came in because Dave and I had a big miscommunication on when we were leaving. I thought we were leaving Monday evening and Dave thought we were leaving Tuesday morning. I had everything ready and packed when he come home from work on Monday evening so he threw his stuff together and we left. And because we were rushed we left things at home. I forgot a coffee maker, and I don't care if this sounds snobbish, but I wasn't going to camp without coffee. I purchased a percolator and I just have to say, it is awesome! Something that also helped cut down our cost was free things we had. Dave purchased a National Park pass back in January when we traveled the west coast. It cost $80 up front but saved us a bunch of money in the long run. 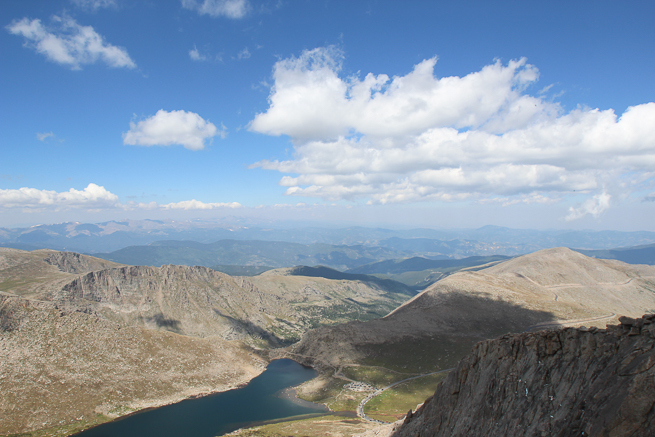 Just to get into RMNP it costs $30. The pass was also good for the entrance fee to Mt. Evans and that saved us $15. I purchased Botanical Garden Pass in Wichita and I was told it worked at other gardens too and it did in Denver. The passes were $12.50 / person so it saved us $25. Again we had that money from Expedia and that was a total of about $100. So total we didn't have to pay $145! That's a pretty good savings. And here is where I wished I would have used Groupons. Something I really wanted to do was to go kayaking or stand up paddleboarding. 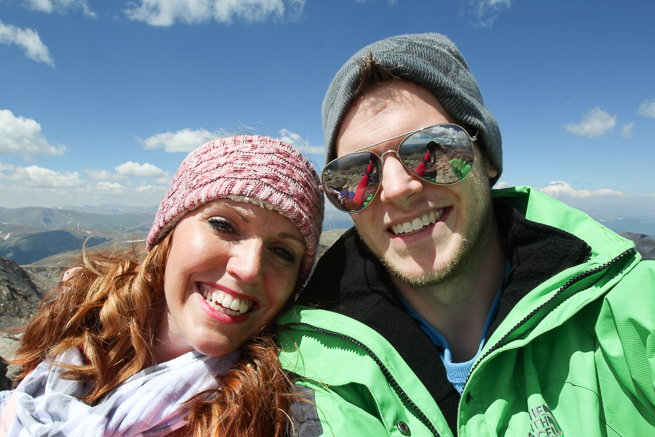 Dave hiked a 14,000 foot mountain and that takes from 3am - 3pm. I just kind of chilled out but I wished I would have used this Groupon for paddleboarding or this one for kayaking. They are half off the normal cost so definitely would have been worth it. Groupon also has a lot off offers for family events or theme parks so it would work well if you are traveling out there with your family. How do you budget for travel? What are you best money saving tips for traveling? Have you ever used Groupon when you travel to other places? Do you think our traveling amounts or low or high? I'm curious.